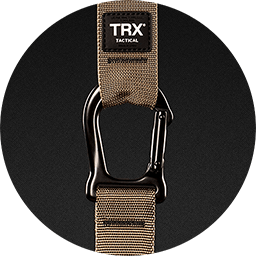 The TRX Tactical Gym is built for the tactical professionals and committed athletes who want a complete and challenging fitness regimen. 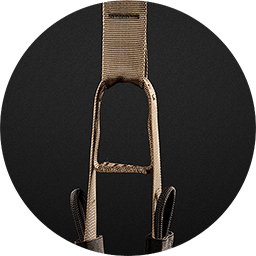 Our toughest and most rugged Suspension Trainer, you can train in any and all extreme environment or condition. 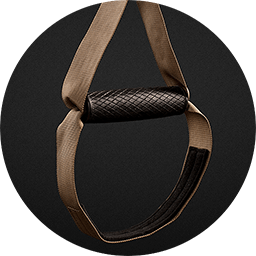 TRX Tactical Gym includes a 12-week conditioning program to keep you ready for any mission life rolls your way. 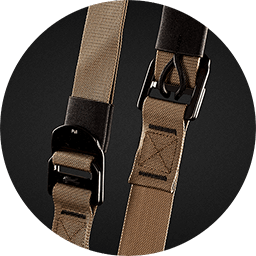 TRX Tactical is made from lightweight and durable materials designed for taking punishment. It’s easy to transport and sets up nearly anywhere in less than 60 seconds. Purchase includes a mobile app featuring a comprehensive 12-week conditioning program proven to keep elite tactical athletes mission-ready. The TRX Tactical Gym delivers anchoring solutions and workouts for any situation, so no matter where your mission takes you, you never have to miss a workout. have been interested in this type of training for along time using your own body to build skills that will give me better balance and stamina for the outdoor activities I enjoy. Using the system when and where it is practical for me is another benefit Thanks! This is exactly what I was looking for... The TRX FORCE app really points me in the right direction, and I'm surprised to low number of reps to make great results. The Tactical Gym is really awesome, folds up great and I took it away last week -- it's great to be able to use this on the road. I am 60 years old, a judo player, and a LEO. I completely endorse this product. Use it and it will change your life. This trainer is awesome. My reason for 4 stars is the foot holds are too big. I imagine it is to accommodate for boots. Just wondering if there are any ideas for making it work with sneakers. Right now we are putting our feet above the handle.